The Saint George’s Singers were formed in 1984 by Jonathan Gregory and they remain a vibrant part of the amateur music scene in Belfast. 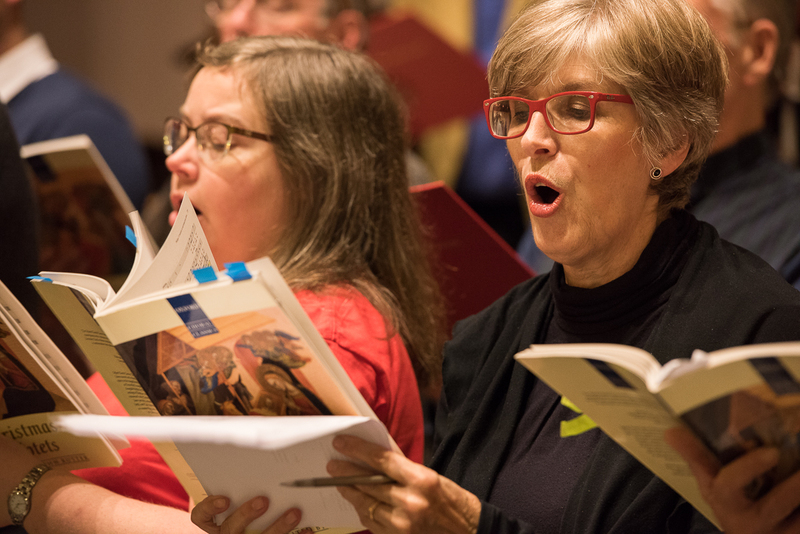 In its 30 years, the choir has performed a wide range of music from the classical choral repertoire. The main focus has been on Baroque music, particularly the music of J S Bach, but we sing a wide range of music from early Renaissance music by composers such as Monteverdi, Purcell and Byrd, to more modern music by composers like Duruflé, Britten and Bernstein (see repertoire). We have around 50 members. Admission is by audition and we are always on the look-out for singers. Anyone who wishes to join should contact the choir at contactstgeorges@gmail.com.